When smoke emerged from the film container, an attempt by the operator to smother the film caused the container to spring open releasing smoke and fumes into the vestibule. Everyone fled in panic towards the exits on either side of the screen causing a jam at the exit doors which were protected by a locked iron gate. Many who were crushed by the force of others died from asphyxiation. The majority of the deceased are interred in Hawkhead Cemetery where a memorial is inscribed with the names of the victims and the words “To the memory of the seventy-one children who lost their lives in the Glen Cinema Disaster 31st Dec 1929“. There was a time in the latter part of the last century when facilities for those suffering from mental health issues were known as Hospitals for the Insane, State Colonies for the Feeble-Minded, Lunatic Asylums or Mental Institutions, and the regard for the patients was equally insensitive even in death. Many family members did not claim the bodies of their deceased relatives and they were buried in unmarked graves or graves identified with only a number. Georgia State Lunatic, Idiot and Epileptic Asylum opened in 1842. Over population and a decrease in staff sadly led to mistreatment of patients. 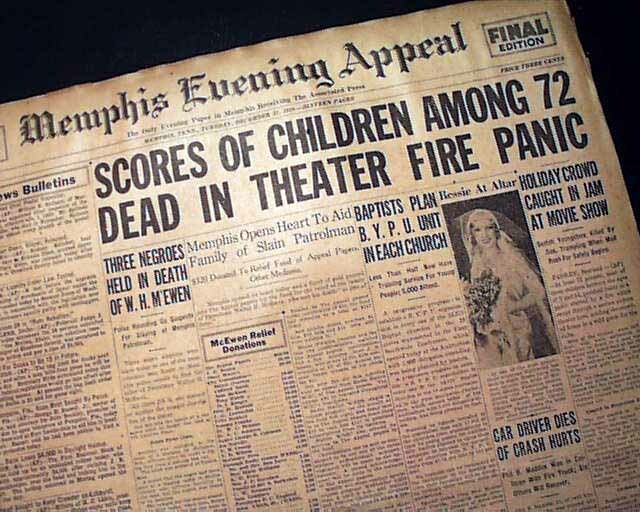 People died at an alarming rate and it is believed that 25,000 people are buried in the hospital grounds possibly in a mass grave. The Central State Hospital in Milledgeville as it became known closed in 2010. Cedar Lane Cemetery contains numbered iron markers of patients who died at the hospital. The historic marker at the cemetery states the following: In 1997 a cemetery restoration began here triggered a movement to memorialize patients buried at state psychiatric hospitals nationwide. After discovering nearby neglected cemeteries interred some 25,000 people, members of the Georgia Consumer Council pledged to restore the burial grounds and build a memorial. A grassroots campaign raised funds to erect the adjacent gate and display 2000. numbered iron markers displaced from graves over the years. A life-size bronze angel was placed 175 yards south of here to serve as a perpetual guardian. Letchworth Village in Rockland County, Rockland County New York, opened in 1911 as a residential facility for the mentally and/or physically disabled. It closed in 1996 after years of reported abuse and a lack of funding. Graves are marked with rusting metal T-shapes embossed with a number. The Somerset and Bath Lunatic Asylum Cemetery in Wells, Somerset opened in 1874 and closed in 1991. The cemetery contains 2900 anonymous graves identified by numbered iron discs. A wooden sculpture by artist Peter Bolton lies on the ground beside the markers representing the anguish of mental health. As recent as 2011, there was no road, no sign and no headstones for the 5776 patients buried at the Willard Asylum for the Insane. New York State operated 26 of these facilities. Vermont Asylum for the Insane was founded in Brattleboro in 1834 to care for the mentally ill. Initially deceased patients were buried in the Village Burying Ground (to later become Prospect Hill Cemetery), then the Asylum Burying Ground and finally in the Brattleboro Retreat Cemetery known as Fairview. None of the graves have identification. Between 1871 and 1953, there were 3200 patients buried at the Western State Hospital in Lakewood, Oregon. They were represented by numbered stones which sank beneath the surface of the ground. A granite stone has been erected over a mass grave to mark their lives and deaths. The Longview Asylum opened in 1860 in Cincinnati, Ohio. The hospital cemetery contains the bodies of patients who were unclaimed or died indigent. Grave markers consist of small square cement blocks bearing a number. Spencer State Asylum Roane County, West Virginia, opened in 1893 closing almost 100 years later in 1989. Approximately 850 patients are buried on the hospital grounds. The Mississippi Lunatic Asylum was established in Jackson in 1848 and asylum patients were buried on the grounds. The cemetery which has been consecrated also contains the ashes of many anatomical donors and is the repository for the ashes of infants who died at UMC and whose families wished them to be buried there. A Ceremony of Remembrance honors them in a fall service. “By their extraordinary gifts these dead have taught the living how to touch, through them, we touch the body of the world”. John Stone M.D. This monument was dedicated on april 16, 1996 as a memorial to all those who have donated their bodies to the University of Mississippi Medical Center since 1955 for professional education and research. Public attitude has since changed 180 degrees with regards to mental health. Markers and/or memorial walls have been erected to recognize those who died and were buried with no ceremony. A new national memorial dedicated to the unnamed graves of the mentally ill broke ground at Saint Elizabeth’s Hospital in Washington, D.C. in 2009. There are many cemeteries in which limited space has been well appropriated. 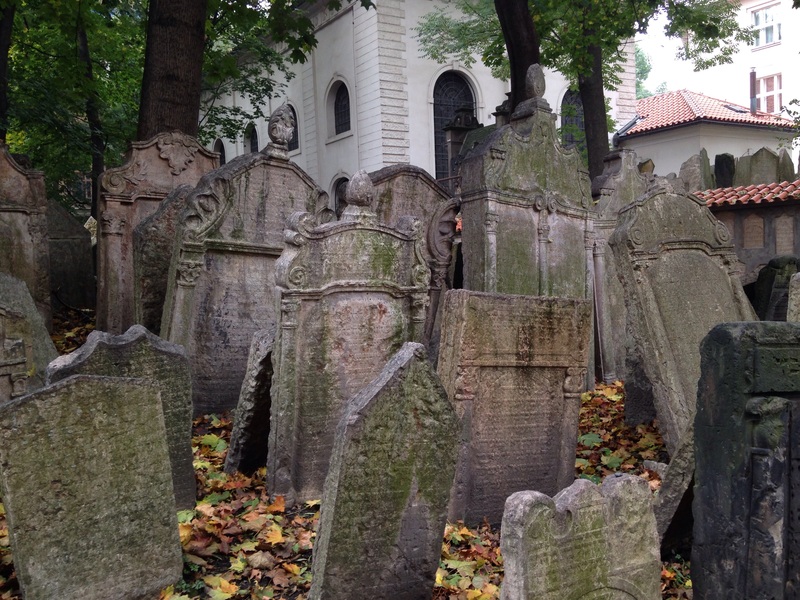 For 300 years during the 15th and 18th centuries there was only one burial ground in Prague, the Czech Republic, in which the Jewish faithful were permitted to bury their dead. The cemetery was small and vacant plots soon disappeared. As Jewish law prohibits the destruction of graves or the removal of gravestones, soil was layered over existing plots causing the cemetery to rise above street level. The original gravestone was erected beside the new headstone which explains how and why the gravestones are packed so closely together. Approximately 12,000 headstones sit atop twelve layers of graves beneath. In 19th century London an expansion of the railway system required the exhumation and removal of gravestones in St. Pancras Cemetery. Thomas Hardy was assigned the task of reburying them. Hundreds of gravestones were placed in a circular pattern around an ash tree now known as the Hardy Tree. A cairn is a marker compiled of stacked rocks. Initially it was an ancient custom of burying the dead to protect the body from scavenging animals. Cairns vary in size related to whether they are used as a marker for the dead, a memorial, or on trails as a guide. Cairns also marked the places where coffin-bearers rested when the walk to the burial ground was a long one e.g. St Cyril’s Church (Cille Choirille), in Glen Spean, near Roy Bridge in Scotland. Gravediggers recited the Gaelic Prayer before filling the grave in this cemetery which has the most incredible view of any in the Highlands. The memorial built at the site of the former Aignish Farm on the islands of Lewis and Harris is a a tribute to the people who took action to recover their homes and livelihoods in the land struggles between landlords and crofters in the 19th and early 20th centuries. The design of two stone structures reflects the idea of confrontation. The jagged stones reflect the aggression and tension of the event. This ‘new’ cairn, built by John MacKinnon of Arisaig, was erected on the shores of Loch nan Uamh by the Forty Five Association and unveiled on 4 October 1956. The plaque states: This cairn marks the traditional spot from which Prince Charles Edward Stuart embarked for France 20th September 1746. ‘Bonnie Prince Charlie’ who claimed to be the rightful heir to the thrones of England, Scotland, France and Ireland was supported by many Highland clans both Catholic and Protestant. Supporters known as Jacobites led risings to reinstate him to the throne. In ancient Scotland, cairns were rallying points before battles and fights. Each man placed a stone on the ground upon arrival and removed it after the battle. The number of stones left was an account of the number of Clan members lost in the battle.